The Ohio Dept. of Agriculture recently changed the status of its proposed distressed watersheds rule package to “To Be Refiled.” The Joint Committee on Agency Rule Review (JCARR) rejected the original proposal in December 2018. ODA did not resubmit the proposal for consideration at the January 22, 2019 JCARR hearing. The original proposal would have lifted the winter manure ban in the Grand Lake St. Marys watershed, a provision that has netted positive results in reducing nutrient loads that cause toxic algae blooms in the lake. To be clear, the ODA proposal is not currently under consideration by JCARR. 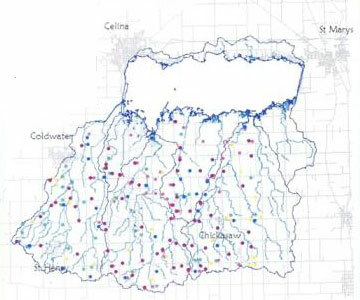 Read the summary report of a November 2018 ODA hearing, including testimony from Grand Lake St. Marys stakeholders in opposition of the proposal.